Berkshire Hathaway HomeServices California Properties. Cindy Waasdorp Earns Multiple Honors! Cindy Waasdorp Berkshire Hathaway Home Services California Properties, was recognized as the #1 agent in her Escondido office for 2015 and continues to lead as #1 for sales transactions and production through the first half of 2016. Cindy Waasdorp of Berkshire Hathaway HomeServices California Properties was honored as the #1 ranked agent in her office for her sales production and the number of transactions in 2013. 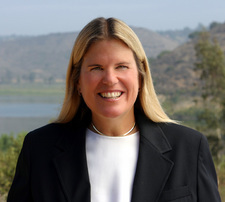 Cindy Waasdorp is recognized as one of the leading Realtors in Escondido, as well as a top agent in San Diego County. ESCONDIDO – The Downtown Business Association has celebrated its first People’s Choice Awards, honoring those who have had a positive effect on downtown Escondido. The Escondido Downtown Business Association Awards Cindy Waasdorp With The People’s Choice Award. 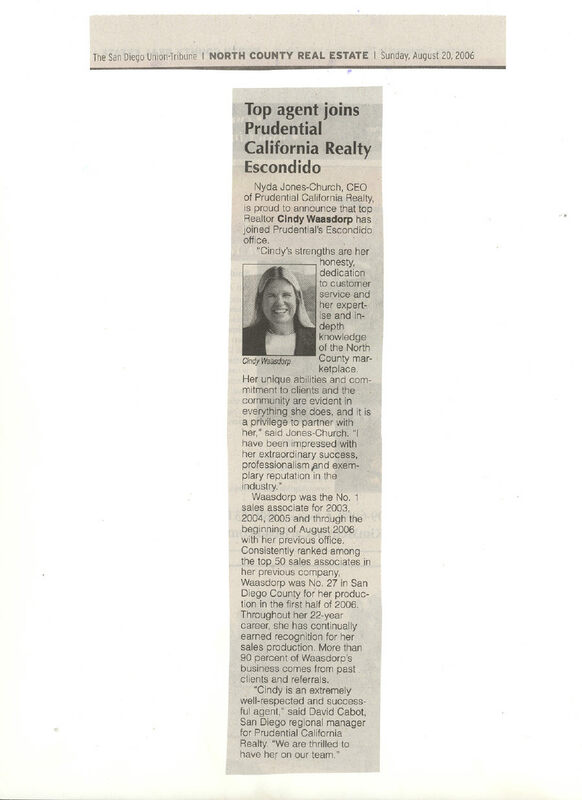 Recognized as one of the top agents in Escondido and one of the top Realtors in San Diego County for 22 years, Cindy Waasdorp joined Prudential California Realty this August. Cindy was the #1 agent for 2003, 2004, 2005 and 2006…. An Unfortunate Result Of The Many Foreclosures & Short Sales Is The Unprecedented Number Of Animal Surrenders. Please Support Our Local Rescue Organizations & Humane Societies. Cindy Waasdorp ranked in the Top 100 for company sales agents in the first half of 2008….. Recognized as one of San Diego County’s top Realtors, Cindy Waasdorp was one of the Top 10 Individual Agents in San Diego County for 2008 for Prudential California Realty. Market leader Cindy Waasdorp has been commended by Prudential California Realty for ranking in the top 10 for individual agents in San Diego County for her sales performance last year.